“To integrate” is to find a function whose derivative is given. This process is called integration or anti-differentiation. Each term is integrated separately. A constant factor in the integrand can be written before the integral sign. 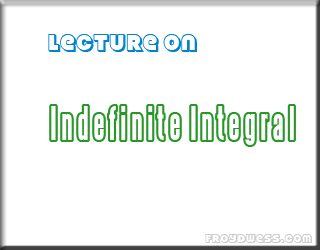 Again, Indefinite Integral is the family of functions that have a given function as a common derivative. The indefinite integral of f(x) is written: ∫ f(x) dx.